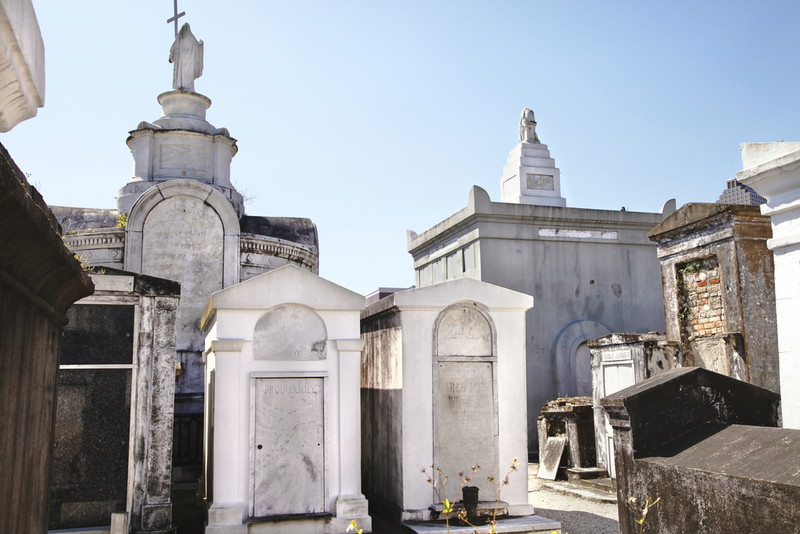 On March 1, 2015, a new policy was enacted for all tourists and visitors to enter St. Louis Cemetery #1 with a licensed tour guide registered with our office. Please help keep our historic cemetery clean and do not mark on the centuries old tombs. Monday through Sunday from 8:30 am to 9:15 am is only for families to visit who have an issued Family Pass. The exterior brick walls of St. Louis Cemetery #1 were restored in 2015 for $500,000; this project stabilized the historic walls by pumping new mortar into the brick joints while maintaining the original appearance of the historic walls. All of our Catholic Cemeteries are closed on Mardi Gras Day. Gates close early on the Saturday before Mardi Gras due to the Endymion parade. No tours shall enter within 30 minutes of closing. Closed on Mardi Gras, Thanksgiving and Christmas Day. On Christmas Eve, last tour is 1:00; gate will close at 1:30 pm. St. Louis Cemetery #1 will close early on Good Friday and July 4th at 2:00 pm. Last tour at 1:30 pm. See below for a list of registered tour guides to contact. There are also available tour guides at the front gate daily to assist with tours. The tour companies at the gate charge $20.00 per person. Free entrance available to Louisiana residents with LA ID, on Good Friday, All Saints Day, and All Souls Day.